US equity indexes closed moderately higher, sp +5pts at 2534. The two leaders - Trans/R2K, settled higher by 0.7% and 0.2% respectively. VIX +0.6% at 9.51. Near term outlook offers zero sign of a turn. 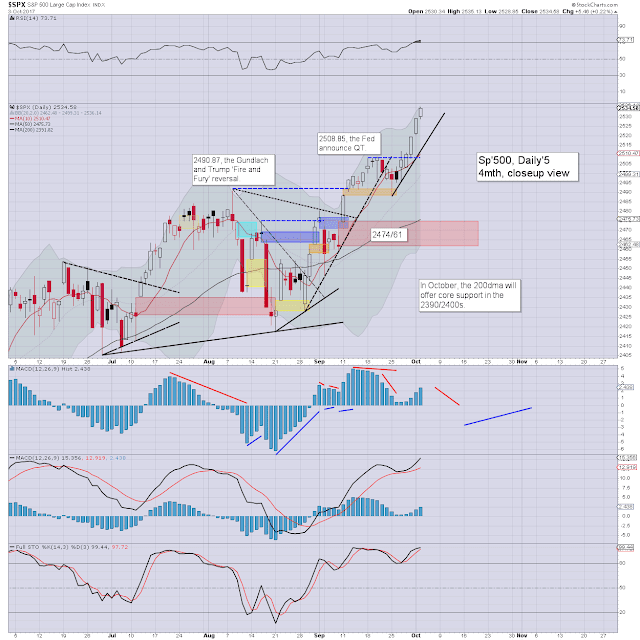 However, a gap fill of sp'2474/61 remains a 'technical necessity'. US equities opened a little higher, but once again it was enough to generate yet another set of new index historic highs. Today saw ALL six of the main indexes that I regularly highlight break a new historic high. On any basis, that is exceptionally bullish. 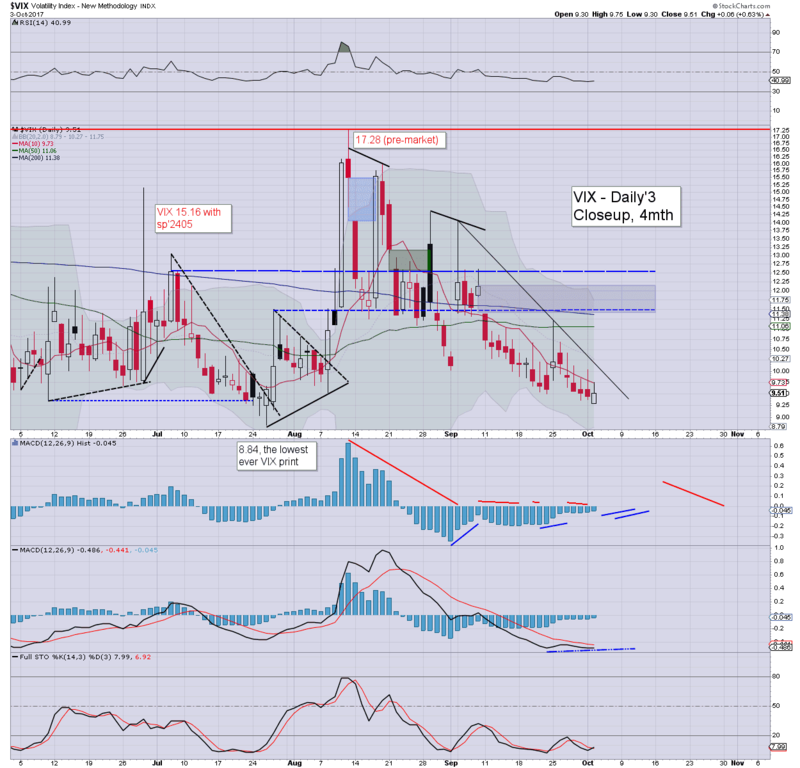 Market volatility remains naturally subdued, with the VIX stuck in the 9s. It would seem the only issue is whether we see the 8s, before the equity market cools to sp'2474/61.